Metro North workers prepare train cars to be pulled from the scene of Friday's derailment in Bridgeport. 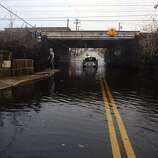 Conn. on Sunday, May 19, 2013. Metro-North has installed speed control on its commuter line that can slow a speeding train and avoid derailing on a curve or bridge. But full Positive Train Control is still not operational — despite years of work, a $1 billion taxpayer funded loan and pressure from politicians and train riders. "They have failed to fully implement PTC despite promises that they would have it operational for the whole system," said U.S. Sen. Richard Blumenthal, D-Conn, referring to the deadline for PTC that passed as 2018 faded into history. "They project another year, and applied for an extension." “They make promises and excuses, but they are behind schedule and that’s because everyone failed to insist on a stronger deadline," he said. Despite missing the deadline, the railroad technically complied with federal law mandating installation of PTC, a high-tech safety system that can take control of trains. The legislation required completion of a series of steps — training workers, acquiring radio spectrum and other details — toward full implementation of PTC. Metro-North met that criteria and was eligible to seek an "alternative schedule" or extension until the end of 2020. 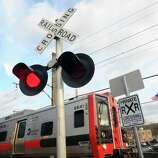 PTC uses a series of transponders and radio frequencies to report the speed, location and operation of a train to a central computer, which can take control in an emergency, stopping the train, slowing it down or rerouting it to other tracks. 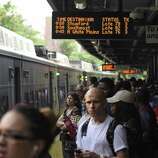 Metro-North is not alone in seeking an extension. In all, 37 of the country's 41 railroads required to have PTC also didn’t fully install the system in 2018 and have sought an extension. Neal Zuckerman, a Metropolitan Transportation Authority Board member, said he was disappointed Metro-North and the Long Island Railroad did not fully install PTC last year. "We are poised to get PTC implemented by the end of 2020, but it will be impossible to not burn the candle at both ends," Zuckerman said. Commuters can take some comfort in the fact that speed control began operating last summer throughout the Metro-North and Long Island Railroad system. A component of PTC, speed control can slow a train that’s traveling too fast for conditions or a section of track. That ability likely would have prevented the 2013 derailment in the Bronx that killed four people and injured 61 others when an engineer fell asleep and rounded a curve so fast the train rolled over. A Bridgeport derailment the same year that injured over 70 passengers would not have been prevented by PTC. The crash was the result of a faulty section of track that derailed the train and hurled it into an oncoming train. Still, speed control is an important piece of the enhanced safety PTC offers. 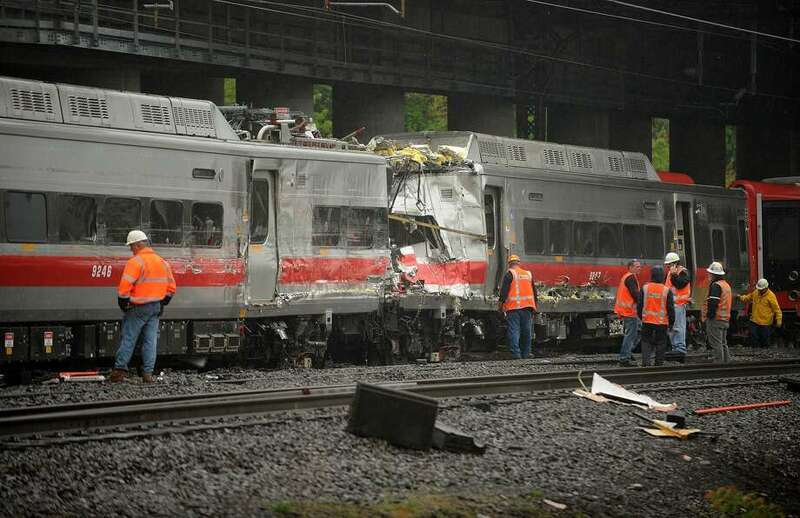 "There were high profile train crashes over last five years, one in Bronx, one in Washington State and in Philadelphia, where the trains were exceeding the speed limit," said Rich Andreski, public transportation bureau chief for the Connecticut Department of Transportation. "Now we have speed control if an engineer exceeds the speed limit," Andreski said. "The system will apply the brakes." Still to be completed is extensive testing of the PTC system, installing software and other interconnected pieces, Andreski said. "What remains is making sure all the carriers are working on the system," Andreski said. "It’s basically a testing period." "Virtually all railroads applied for an extension and it was allowed under federal legislation," Andreski said. "They had to meet conditions, hardware had to be installed, employees trained and demonstration segments made operable. We have met all that criteria." Zuckerman said the biggest challenge is writing and installing the software that controls PTC and allows it to operate seamlessly. "This requires that every single station and mile of track to be coded," Zuckerman explained. "The cars are not self-aware; it has to be tied to the geometry of the land. The software is very buggy." Zuckerman said PTC does not eliminate all potential hazards, pointing out it will not prevent derailments caused by defective track or stop trains from striking cars or other objects on the tracks. "It’s not an autonomous vehicle," Zuckerman said. "The biggest problem we have had is software. We are going to ask our software vendors to come here and talk to us about getting to the 2020 deadline. We are not done." Still, Blumenthal said that while Metro-North complied with federal law, that’s not good enough. "They are not operational, despite a billion dollar loan," Blumenthal said.